I dabbled for a while with a bunch of homemade hair gel recipes – for a while I was making a wax with olive oil and beeswax, which really did work, but as you can imagine, was a total arse to get off! It would build up on my hair, and not really feel like it was adding much goodness at all. It was also a bit of a faff to wash the pan afterward – beeswax isn’t very washable in any way! So THIS homemade hair gel is an absolute WINNER. It is dead easy to make (five minutes flat) easy to clean up (both from pots and your hair!) 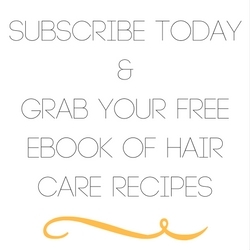 and styles your hair well, whilst being incredibly good for you. I am using it almost every day at the moment because I am in a major curly hair phase (more on that in next week’s post!) and it is making my hair SO UNBELIEVABLY SOFT! 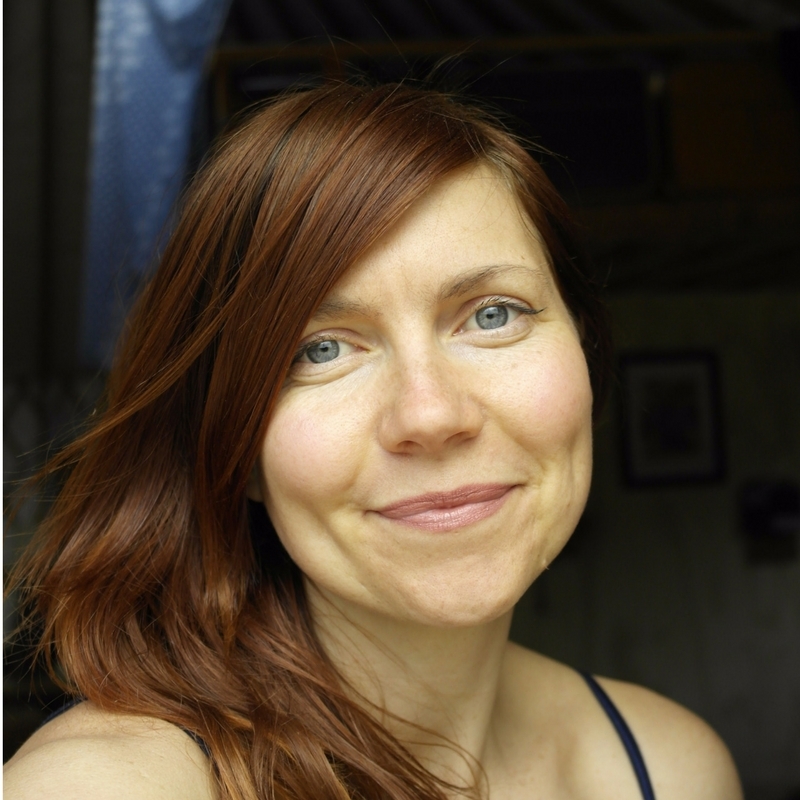 It truly must be one of THE most nourishing homemade hair gel recipes in the whole world. 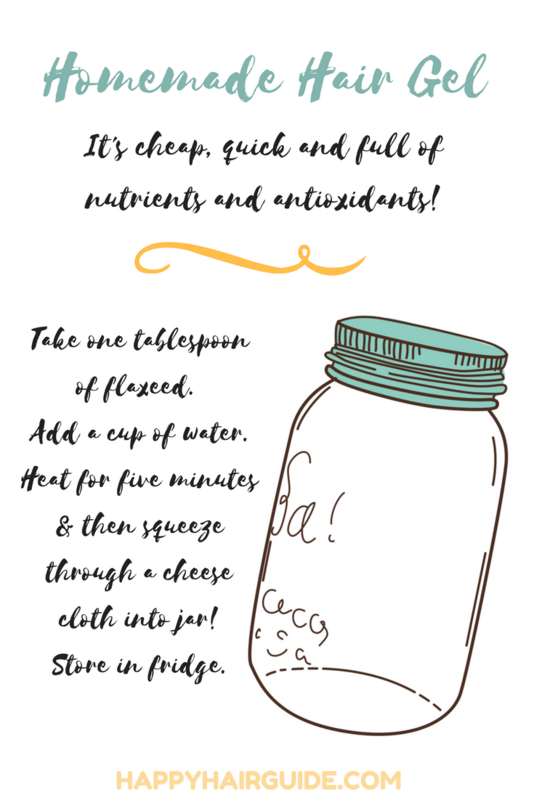 The key is in the one ingredient – flaxseed (or linseed if you are in NZ.) Yep, apart from water, there is only one ingredient. And flaxseed is a powerhouse of nutrients and antioxidants. it is unsurprising that it is making my hair feel so so so good. Head to your local health store and grab a bag of linseed or flaxseed. Keep it whole, you REALLY don’t want the powdered stuff! Take one table spoon and mix it with a cup of water. Basically you need to stir it until it looks like hair gel! Let it cool ever so slightly, but don’t let it get cold because it becomes impossible to work with. Then squeeze it through a tee shirt or cheese cloth. Seriously, switch out your chemical filled, damaging hair styling stuff and replace it with this homemade hair gel. In two weeks come back and tell me how beautiful and soft your hair is. Yippeee! 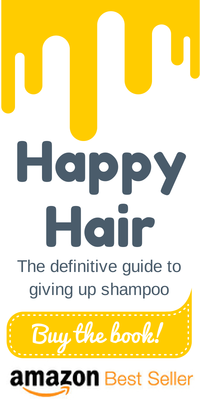 This recipe is one of the many in my book Happy Hair: The definitive guide to giving up shampoo. Buy it through my e store or Amazon. 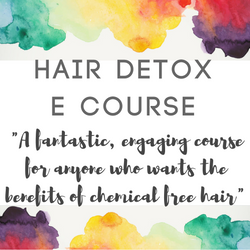 If you want more support and hand holding check out my e-course where I’ve helped people from allover the world discover healthy, clean, shampoo-free hair.